Now that Java SE 7 has been officially released, it is recommended that users of Java SE 6 update to the latest version. The Java SE 7u4 does not add any fixes for security vulnerabilities beyond those in Java SE 7u3. For Java SE 6, the full internal version number for this update release is 1.6.0_32-b05 (where "b" means "build"). The external version number is 6u32. For Java SE 7, the full internal version number for the update to the Java SE 7 release is 1.7.0_04-b20 (where "b" means "build"). The external version number is 7u4. When updating to Java SE 7, check installed programs because it does not appear that upgrading removes Java SE 6. The "end of life" date for Java SE 6 has been extended from July 2012 to November 2012, to allow some more time for the transition to JDK 7. Firefox 12 was sent to the release channel today by Mozilla. It is important to note two important things to about this update. First, the release of version 12 is the last version release to officially support Windows 2000, Windows XP RTM or XP Service Pack 1. Windows XP SP2 and above will be the oly supported Windows operating systems in the next version release of Firefox. Second, after installing version 12, subsequent updates will no longer require approval of the User Account Control (UAC). Instead, Firefox will automatically update (silent updates). Note, however, the addition of the Update Tab to the Advanced panel of the Options settings. The option is provided to "Check for updates, but let me choose whether to install them." the Mozilla Maintenance Service. It is expected that silent updates will be in place no later than version 14. The Release Notes include new and fixed features in version 12. The numerous Bug Fixes are in the link available in References. The upgrade to Firefox 12 will be offered through the browser update mechanism after any impacts related to the Microsoft Security Updates are analyzed. To get the update now, select "Help" from the Firefox menu at the upper left of the browser window, then pick "About Firefox." Mac users need to select "About Firefox" from the Firefox menu. New storage options and apps to connect your devices to SkyDrive were announced by the Building Windows 8 blog. The announcement provides information on the following. "SkyDrive for the Windows desktop (preview available now). View and manage your personal SkyDrive directly from Windows Explorer on Windows 8, Windows 7, and Windows Vista with this new preview app available in 106 languages worldwide. SkyDrive for other devices. We’ve updated the SkyDrive apps on Windows Phone and iOS devices, bringing better management features and sharing options to those devices. We’re also releasing a new preview client for Mac OS X Lion, letting you manage your SkyDrive right from the Finder." Of particular note is that SkyDrive for Windows desktop is only for Windows 8, Windows 7 and Windows Vista, notably excluding Windows XP. New SkyDrive users: 7 GB free storage. 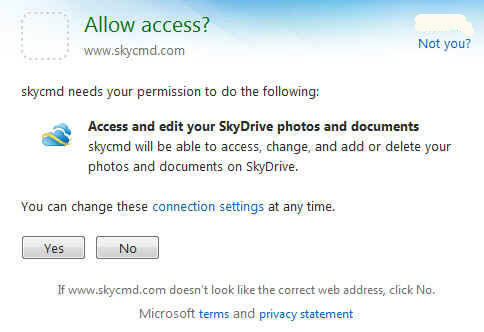 *Existing users applies to SkyDrive accounts as of April 22, 2012. In order to upgrade your existing SkyDrive account from 7 GB free storage to 25 GB free storage, log on to your SkyDrive account, https://skydrive.live.com/. Click "Manage storage" > "Upgrade my storage" to lock in 25 GB for free. Other than specifying "limited time", I have not seen an indication of when the "Loyalty Offer" expires so I suggest you take advantage of the offer now before it expires. Microsoft Security Essentials (MSE) is an antivirus, anti-malware, anti-spyware software providing real-time protection for your computer. Microsoft Security Essentials is free for home users as well as small and medium businesses with up to ten (10) PC's. If your business has more than 10 PCs and, therefore, it is against the license terms to use MSE, consider System Center 2012 Endpoint Protection, described below. MSE works on Windows 7, Windows Vista and Windows XP*. However, your PC must run genuine Windows to install Microsoft Security Essentials. Beware of rogue/scam offerings and only download Microsoft Security Essentials from the Microsoft Safety & Security Center. Definition updates for MSE are obtained automatically through the program or downloaded directly from the Microsoft Malware Protection Center (MMPC) Portal. You may also be offered updates through Windows Update. Note: *With Windows XP having reached "end of life" on April 8, 2014, Microsoft has stopped providing Microsoft Security Essentials for download for that operating system. Definitions will continue to be available for Windows XP until July 15, 2015. See Microsoft antimalware support for Windows XP. Adding to the confusion between the anti-spyware program named Windows Defender and the boot-scan software Windows Defender Offline, is Windows Defender installed on Windows 8. In addition to including all of the same features as Microsoft Security Essentials, Windows Defender on Windows 8 will interface with Windows secured boot, a new Window 8 protection feature. On a PC that supports UEFI-based Secure Boot, Windows secured boot will help ensure that all firmware and firmware updates are secure. By loading only properly signed and validated code in the boot path, the entire Windows boot path up to the anti-malware driver will be checked to ensure that it has not been tampered with. Like Microsoft Security Essentials, definition updates for Windows Defender on Windows 8 are obtained automatically through the program or downloaded directly from the Microsoft Malware Protection Center (MMPC) Portal. You may also be offered updates through Windows Update. Note: Do not attempt to install Microsoft Security Essentials on Windows 8. It is incompatible with Windows 8. Windows Defender on Windows 8 incorporates the antivirus engine of Microsoft Security Essentials. If you elect to install a different antivirus product on Windows 8, Windows Defender will be disabled. The Microsoft Safety Scanner is a no-frills scanner to help remove viruses, spyware, and other malicious software. The Microsoft Security Scanner will work with your existing antivirus software but it is not a replacement for a resident antivirus software program. The Microsoft Safety Scanner works on Windows 7, Windows Vista and Windows XP. There is no charge to use the Microsoft Safety Scanner and there is no requirement to prove Windows is genuine. The Microsoft Safety Scanner expires ten (10) days after being downloaded. The reason for the expiration time is at the point of downloading the Microsoft Safety Scanner, it installs the most recent definitions from the Microsoft Malware Protection Portal (MMPC). Due to the frequency of definition updates, even after one day, the definitions are outdated. The Microsoft Safety Scanner uses the same definitions that are used for Microsoft Security Essentials and Microsoft Forefront. For instructions on the use of the Microsoft Safety Scanner, you may be interested in this brief tutorial: How to Use the New Microsoft Safety Scanner. The Malicious Software Removal Tool (MSRT) scans for select malware only. Microsoft releases an updated version of the MSRT on the second Tuesday of each month along with security updates. Additional updates are added as needed to respond to security incidents. The current list of targets for removal is available at Families Cleaned by the Malicious Software Removal Tool. The MSRT works on Windows 7, Windows Vista, Windows XP, Windows Server 2003, or Windows Server 2008 and is available from Microsoft Update, Windows Update and the Microsoft Download Center. As explained in Microsoft KB Article 890830, the Microsoft Malicious Software Removal Tool is not a substitute for antivirus software. There is no real-time protection and, as shown in the above-referenced list of families cleaned, the MSRT is targeting specific prevalent malicious software that is actively running on the computer. Originally named Microsoft Standalone System Sweeper, the released tool was renamed "Windows Defender Offline". The original tool had long been a part of the Microsoft Diagnostics and Recovery Toolset (DaRT) for Microsoft Enterprise customers. Windows Defender Offline is a recovery tool currently available from Microsoft. The tool is not a general, all-purpose scanner and is not a replacement for an updated antivirus program. Rather, it is to help start an infected PC and perform an offline scan to identify and remove rootkits and other advanced malware. Windows Defender Offline can also be used in situations where antivirus software fails to install or the program that is installed is unable to detect or remove malware from the computer. A unique feature of Windows Defender Offline is if a rootkit or other advanced malware is detected on your PC by Microsoft Security Essentials, Windows Defender, Forefront Endpoint Protection or System Center Endpoint Protection, you will be prompted to download and run Windows Defender Offline. For additional information on setting up and scanning with Windows Defender Offline, refer to the tutorial created under the former name, Standalone System Sweeper, at Setting Up the Microsoft Standalone System Sweeper Beta, Now Windows Defender Offline. Windows Defender anti-spyware software is available for installation on Windows XP and Windows Server 2003. Windows Defender is pre-installed on Windows Vista, Windows 7 and Windows Server 2008 (enabled if the Desktop Experience feature is installed). It is not an anti-malware software. Rather, it is a free active system monitor that provides real-time protection against pop-ups, slow performance, and security threats caused by spyware and other unwanted software. Windows Defender can be downloaded from the Windows Download Center. Note: Microsoft Security Essentials as well as Windows Defender on Windows 8 include the anti-spyware engine of Windows Defender. We plan to ship another major release of FIM in the first half of calendar year 2015. Microsoft remains committed to delivering the identity and access capabilities offered in FIM (identity and access management). Some Forefront UAG scenarios (secure application publishing and remote access) are addressed with new capabilities available in Windows Server 2012 R2 today." See the complete article, "Important Changes to the Forefront Product Line"
Remaining in the product line are Forefront Unified Access Gateway 2010 and Forefront Identity Manager 2010 R2, security products for business customers. These products are designed to be centrally managed and integrated into IT infrastructure products. Microsoft Forefront is intended to scale to many thousands of users. It uses the same definitions as Microsoft Security Essentials and the Microsoft Safety Scanner. The Exchange Online Protection service was formerly called Forefront Online Protection for Exchange. As a spam filtering and anti-malware service integrated with Office 365 services. Microsoft Intune is an Enterprise Solution that provides PC Management and Security in the Cloud. It is an end-to-end Microsoft solution that brings together Windows cloud services for PC management and endpoint protection with a Windows 7 Enterprise upgrade subscription. Through the web-based console, IT Staff can centrally manage and secure all the company PCs. Windows Intune includes support for Windows RT, Windows Phone 8, iOS, and Android platforms. Included in the numerous features of Windows Intune is malware protection, using the same definitions Microsoft Forefront and Microsoft Security Essentials. "Today we are announcing that in its next major update, coming later this year, Windows Intune will be renamed to Microsoft Intune. Intune is included in the Enterprise Mobility Suite (EMS) which is Microsoft’s comprehensive and cost-effective solution for addressing consumerization of IT, BYOD, and SaaS challenges. The suite also includes Azure Active Directory Premium and Azure Rights Management." 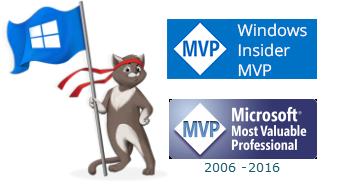 Microsoft System Center 2012 Endpoint Protection was previously known as Forefront Endpoint Protection 2010. System Center 2012 Endpoint Protection provides the ability to consolidate desktop security and management in a single solution. System Center 2012 Endpoint Protection is built on System Center 2012 Configuration Manager. It provides a single, integrated platform that reduces your IT management and operating costs. Q. Does the Microsoft Safety Scanner include all of the definitions included in the Malicious Software Removal Tool? A. Yes, at the time of download, the Microsoft Safety Scanner will include the same target families as the Malicious Software Removal Tool. However, the Microsoft Safety Scanner includes more than specifically targeted prevalent malicious software. Q. Does the Malicious Software Removal Tool include definitions that are not included in the Microsoft Safety Scanner? A. No, although if the timing is such that additional targeted families or variants were added to the Malicious Software Removal Tool after the download of the Microsoft Safety Scanner, those families or variants would obviously not be in the already downloaded Microsoft Safety Scanner. Q. In terms of detection and removal, does the Microsoft Safety Scanner offer what the Malicious Software Removal Tool offers? A. The Malicious Software Removal Tool has specific malicious targets whereas the Microsoft Safety Scanner targets not only the same specifically targeted malicious programs as the Malicious Software Removal Tool, but also targets the same viruses, spyware, and other malicious software included in Microsoft Security Essentials and Microsoft Forefront. Q. Do users need both the Microsoft Safety Scanner and Malicious Software Removal Tool? A. The simple answer is No. In point of fact, if you are using Microsoft Security Essentials as your antivirus product, you theoretically do not need either the Microsoft Safety Scanner or the Malicious Software Removal Tool. However, there are instances where, for one reason or another, there is a problem updating MSE or the need to clean a computer that does not have Internet access. Another valuable use of these tools is if your computer has a virus that your current antivirus software missed or is unable to remove. Q. Is there any point in running both the Microsoft Safety Scanner and Microsoft Security Essentials? A. No. The Microsoft Safety Scanner uses the same definitions as Microsoft Security Essentials. However, if Microsoft Security Essentials detects a rootkit or other advanced malware on your computer, you may be prompted to run Windows Defender Offline. Q. Can I download both the 32 bit and the 64 bit versions of the Microsoft Safety Scanner to a USB stick and take to another computer to run the correct version for the destination machine? A. I suggest that you create a separate folder for each version of the download as both the 32-bit and 64-bit versions are named the same, as msert.exe. Q. How do I know if I have the latest definitions? A. The change log for the latest definitions for not only Microsoft Security Essentials but also Microsoft Forefront and Windows Defender is available from the Microsoft Malware Protection Center (MMPC) Portal. Q. I installed Microsoft Security Essentials and now Windows Defender isn't available. Why? A. The anti-spyware engine and real-time protection of Windows Defender are incorporated in Microsoft Security Essentials and Windows Defender on Windows 8. Q. Does Microsoft provide server and cloud security software and services? A. Windows Intune provides both PC management and cloud security features. For Microsoft servers, the Microsoft System Center 2012 Endpoint Protection consolidates desktop security and management in a single solution. It is official! Windows 8 will be called Windows 8! Simplicity works for me. In fact, Microsoft has simplified Windows 8 even further. In short, there will be only two versions of Windows 8 for 32- and 64-bit windows, simply Windows 8 and Windows Pro. Most home computer users will likely be fine with Windows 8. Windows 8 Pro is designed for the "enthusiast" and the business environment. It includes features for encryption, virtualization, PC management and domain connectivity. In addition, Windows Media Center will be available as an economical “media pack” add-on to Windows 8 Pro. .
"Windows RT will include touch-optimized desktop versions of the new Microsoft Word, Excel, PowerPoint, and OneNote. For new apps, the focus for Windows RT is development on the new Windows runtime, or WinRT, which we unveiled in September and forms the foundation of a new generation of cloud-enabled, touch-enabled, web-connected apps of all kinds. For more details on WOA, we suggest reading this blog post which shares more detail on how we have been building Windows 8 to run on the ARM architecture." Although any of the Windows 7 versions can upgrade to either Windows 8 or Windows 8 Pro, Windows 7 Ultimate an Windows 7 Pro can only upgrade to Windows 8 Pro. The chart at Announcing the Windows 8 Editions breaks down a starter list of key features by edition and upgrade path. WinPatrol PLUS for 99 Cents and Family Pack only $9.99! You read the title correctly. Once again Bill Pytlovany is offering a very special deal for WinPatrol PLUS. This time, he is also including a special deal on the Family Pack. Starting at noon on Monday, April 16, 2012, until noon on Wednesday, April 18, 2012, EST, WinPatrol PLUS will be available once again for purchase for the unbelievable price of 99 cents USD. In addition, the Family Pack will be offered at the special price of $9.99 USD. To help spread the impact on the server, the download page will point to alternate download sites of the WinPatrol software. That way, hopefully no one will experience any problems retrieving their new PLUS code or have other delays due to the high traffic. Can I use my 99¢ WinPatrol PLUS on multiple computers. This experiment is meant to compare a software purchase to those purchases from the Apple App Store or Droid Market. Unlike our $29.95 license, this purchase is good for one computer at a time. The cost of the Family Pack license has also been reduced to $9.99 and will allow you to create a single family PLUS code. I heard a new WinPatrol version is coming soon. Will I have to pay again for this version? No way. The PLUS activation you purchase for 99¢ will work with all future versions. Can I purchase 100 copies. Yes, but only for your own use. You must be a home user and you’ll still receive a single PLUS code for all your computers. Do I need to download anything in advance? If you already have the free version of WinPatrol no additional download is required. If you don’t have WinPatrol you can download and become familiar with WinPatrol at http://www.winpatrol.com/download.html. I’ve included some alternate download sites to prevent traffic jams on WinPatrol.com. Using your PLUS code will activate the premium features hidden in the free version. Head over to Bits from Bill for the rest of the details on this one-day event. Even if you already have a license for WinPatrol Plus, it is a great opportunity to purchase a license for a friend or family member. Acrobat and Reader users can update to the latest version using the built-in updater, by clicking “Help” and then “Check for Updates.” The Adobe Reader update for Windows is available from http://www.adobe.com/products/reader/. Even better is the FTP download site: ftp://ftp.adobe.com/pub/adobe/reader/win/10.x/10.1.3/ with no risk of add-ons. The next quarterly security updates for Adobe Reader and Acrobat are currently scheduled for July 10, 2012. Microsoft released six (6) bulletins, of which four bulletins ares identified as Critical and two (2) as Important. The bulletins address issues in Microsoft Windows, Microsoft Office, Internet Explorer, Microsoft SQL Server, Microsoft Server Software, Microsoft Developer Tools, Forefront UAG, and .NET Framework. MS12-023 and MS12-024 require a restart. In addition, If you have had difficulties with .NET Framework in the past, it is strongly advised that update MS12-025 installed separately. Last week security company, Dr.Web, reported findings of a massive bot net infection impacting Macintosh computers. The Dr.Web report met with a fair amount of skepticism until confirmed by Kaspersky researchers. Estimates are that around 1 percent of all Macs worldwide have been infected with the Flashback trojan, with the largest majority in the U.S. and Canada. F-Secure provided removal instructions at Threat Description: Trojan-Downloader:OSX/Flashback.K. Because the OSX/Flashback Trojan uses a flaw in Oracle’s Java, F-Secure also provided instructions for Mac users to Update, Disable or Remove Your Java. If the above does not apply to you, consider uninstalling Java. In the event you discover that it is needed, you can always download the most recent version. On Tuesday, April 10, 2012, Microsoft is planning to release six (6) bulletins, of which four bulletins are identified as Critical and the remaining two as Important. The bulletins address eleven vulnerabilities in Microsoft Windows, Microsoft Office, Internet Explorer, Forefront UAG, and .NET Framework. At least two of the updates will require a restart. If you have had difficulties with .NET Framework in the past, it is strongly advised that update be installed separately. There are so many wonderful uses for SkyDrive. With 25GB free storage, SkyDrive is the perfect place to store team documents and family photos. The integration of Microsoft OneNote 2010 with SkyDrive works seamlessly. There is more, including support for the desktop to upload files up to 2GB through Explorer. Uploading your files to your SkyDrive folder will ensure access to your files across all of your PCs and also make it easier to upgrade to Windows 8. With the integration of SkyDrive in Windows 8 and the ability for SkyDrive to automatically update files as changes are made, the option to get back to basics with simple DOS-type commands to access SkyDrive is being made available in the form of SkyCMD. It isn't necessary to wait for Windows 8 to give SkyCMD a workout. Just follow these simple steps. 3. Typing login at the prompt the first time takes you to the Windows Live Connect Services. From there on out, just login and use the familiar commands to manage your SkyDrive files. It is that simple.